If there's one thing all Americans can actually agree on, it's that the presidential election was the biggest story of the year. But in the background, self-driving cars started to gain steam. Automakers, tech companies and startups are all racing to develop autonomous technology. Even governments -- generally behind the curve on technology -- are getting involved. The money, brainpower and time poured into autonomy will likely spur huge changes in how we live. There's no consensus for when autonomous vehicles will go mainstream, but don't be surprised if they're the biggest story of the year before long. Related: Is Uber's push for self-driving cars a job killer? 2016 kicked off with GM (GM) spending $1 billion to acquire Cruise Automation, a startup developing self-driving technology. In August, Uber spent a reported $680 million on self-driving truck startup Otto, which was only eight months old. This fall brought the second biggest tech acquisition in history -- Qualcomm's $39 billion takeover of NXP Semiconductors. There was a familiar theme behind the news: Qualcomm (QCOM) needed a path into making chips for autonomous vehicles. We saw other examples of the excitement for chips that power self-driving cars. The stock price of NVIDIA (NVDA), which makes critical hardware for autonomous vehicles, more than tripled during 2016. Industry giant Intel (INTC) said in November it would invest $250 million in autonomous driving, including developing chips and software to power the cars. The year saw a lot more than money being thrown around, and grand proclamations of an automated future happened nearly every week. Companies also begin to let average people ride in self-driving cars. 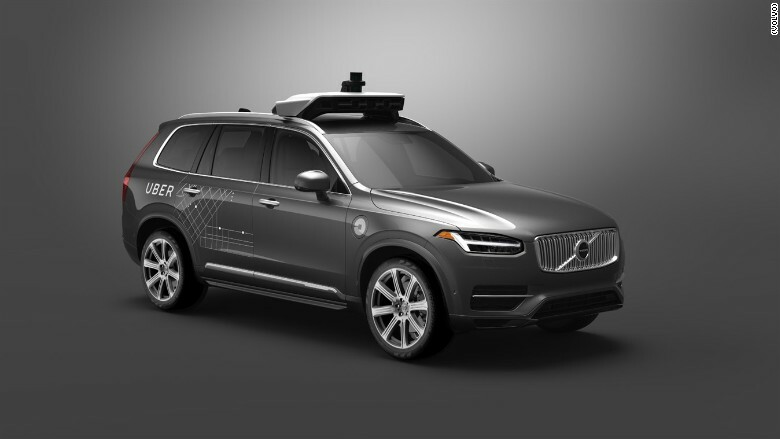 Uber will begin testing a self-driving Volvo in Pittsburgh this month. This fall, Uber began letting customers in Pittsburgh and San Francisco hail a ride in a self-driving Volvo. NuTonomy, a Boston startup, started offering rides in Singapore. The cars operate with test drivers present, so that they can take over the vehicle if it malfunctions. Perhaps the boldest move of all came from Tesla. In October Tesla (TSLA) announced that all of its new vehicles now had the hardware to drive fully autonomously. All that's left is developing the software. The strategy lets Tesla collect data from its cars, which is then used to train the cars to drive themselves. No one else in the industry is close to offering such a car. It was a year in which storied automakers embraced radically different business models. In May, GM said it would test self-driving taxis with Lyft. And Ford said it would deploy its own self-driving cars in a ride-sharing service in 2021. Google (GOOG), a company that's long been at the forefront of autonomous cars, doubled the number of cities it's testing in to four. 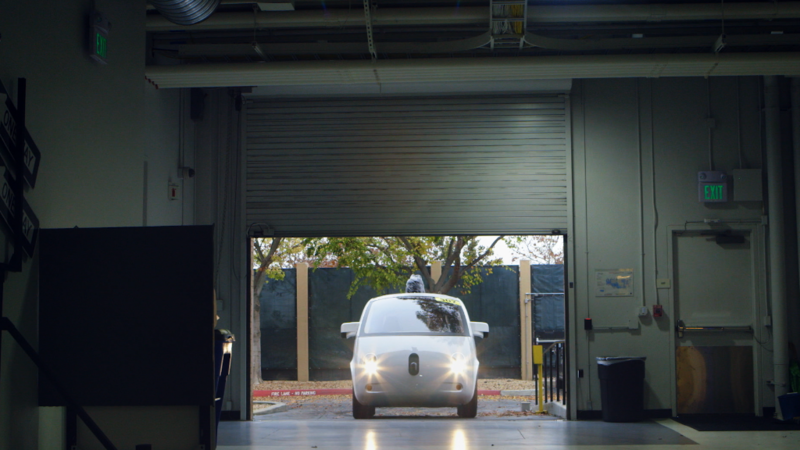 In December, it spun off its self-driving car project as Waymo, an independent company under the umbrella of Alphabet, Google's parent company. Its cars drove over a million miles autonomously in 2016. 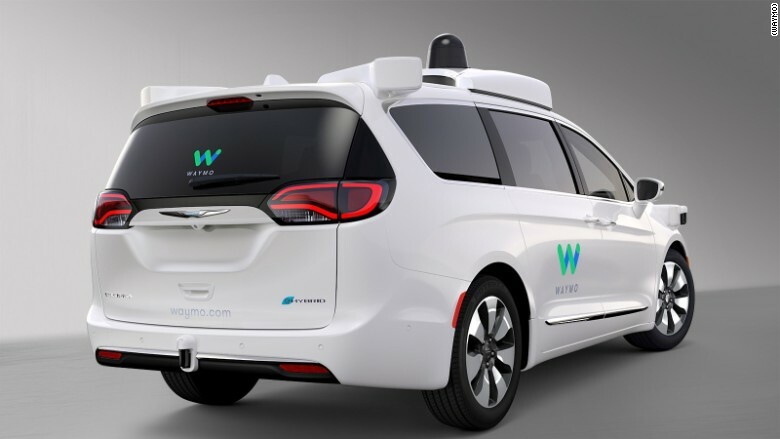 Waymo revealed its Chrysler self-driving vans in December. They will be on the road in 2017. One big question has been if government regulators will allow self-driving vehicles on roads. The U.S. federal government offered a warm welcome to autonomous cars in September, when it released guidelines for self-driving vehicles. The United Arab Emirates went farther, calling for 25% of residents to use self-driving vehicles by 2030. 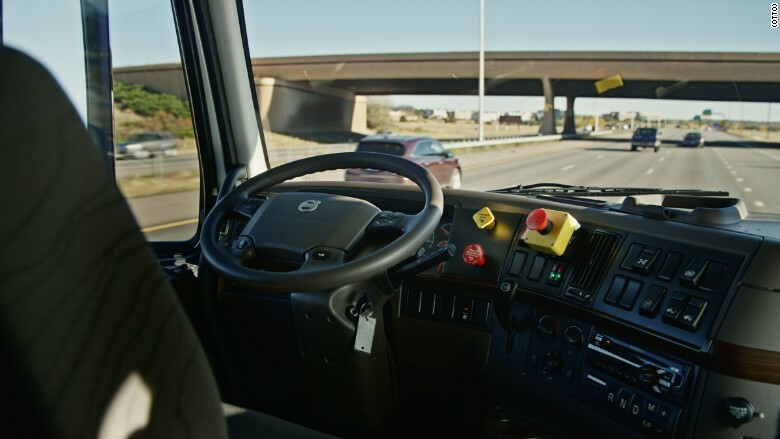 It's unclear if the Trump administration will continue to be so receptive to autonomous vehicles, which are expected to imperil many jobs of working class Americans. In California, Uber clashed with the DMV over whether it needs permits to operate self-driving vehicles in the state. The DMV is expected to take legal action against Uber. Of course, Uber could operate without any trouble if it applied for the permits and shared safety data with the government. Despite these hiccups, regulators are largely on board with self-driving technology. But a big question remains -- are Americans ready to actually ride in self-driving vehicles? An AAA survey this spring found that three in four Americans are scared to ride in a self-driving car. Programs such as Uber's, which let customers take a brief ride in a self-driving car, are a way to ease the public into the future. In the coming years, we'll see just how many of us will actually give up our keys.